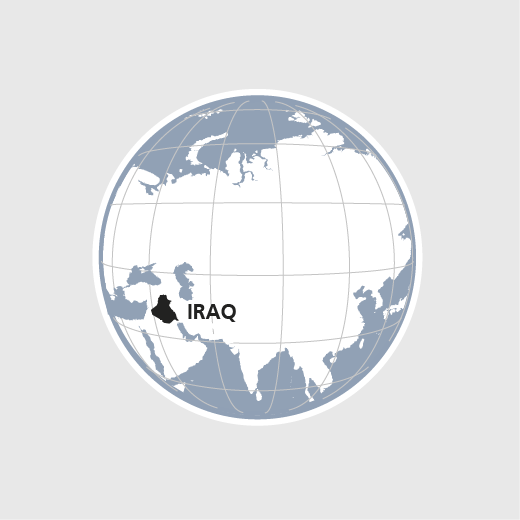 Some 10 million people now need humanitarian aid as a result of the armed conflict in Iraq. Many have fled Islamic State (IS) into Kurdish regions or abroad. Despite being one of today's worst humanitarian crises, it risks being forgotten as it is not receiving the same attention as the Syrian crisis. UN and NGO aid projects are seriously underfunded. HEKS/EPER has been providing emergency relief in Northern Iraq since winter 2014/2015. Up to the end of 2016, internally displaced people and host families in Sulaymaniyah, Halabja and Diyalla Province are being supplied with food, cooling units, heating oil and «cash for work», in a joint endeavour with the local partner organisation «REACH». Roughly 75000 people benefited from improved drinking water supplies as well as sanitary and health conditions in three refugee camps in 2017, with the help of HEKS/EPER.